We've made a big decision in the past few weeks. To forgo disposable diapers and move to cloth. When we first started trying to get pregnant Dan and I were both pro-cloth. But once I got pregnant it started to seem like too much work. Plus, we thought, he'll probably go to daycare and most don't take cloth. We got lots of disposables as gifts and in diaper cakes and once little guy was here we just started using those. Three months after Jacob's birth, and a new childcare plan (read: GRANDPARENTS) later and we started re-thinking our decision. Especially after we had to go out and actually buy a box of disposables. Those suckers are $$$$. I started reading up on cloth diapers again. They've come a long way! It didn't seem like it would be much more work than disposables (we do laundry nightly anyways) and since he wasn't going to daycare it seemed like all that was left to do was try it out. 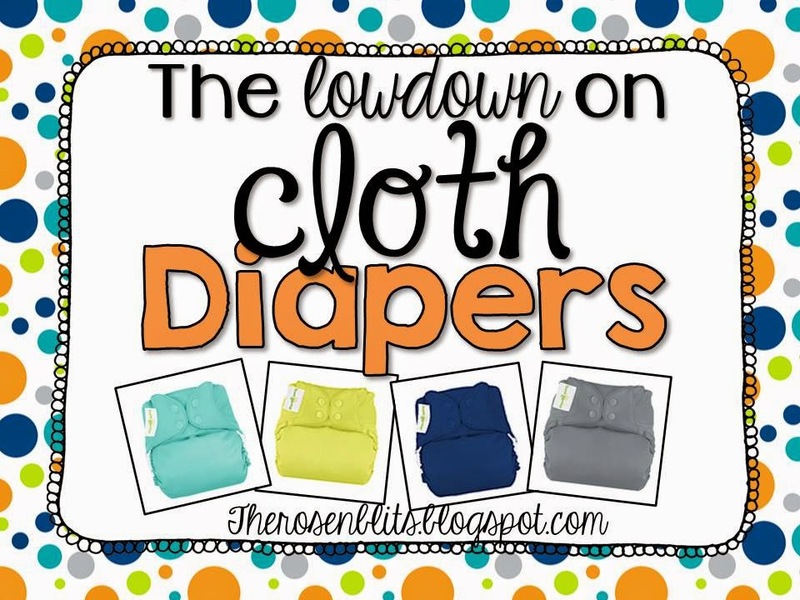 Cloth diapers can save you a lot of money over time, but they are a lot more money upfront. We're on a tight budget with me not working until December so I had to think creatively about how we would get our cloth diapers and supplies. I already knew from all the research and blog reading I had done before I was pregnant that I wanted to use the bumgenius 4.0. It's a pocket diaper and everyone I know who's cloth diapered has used them and loved them. I also knew I wanted the snap version since the velcro can get worn out with heavy usage. 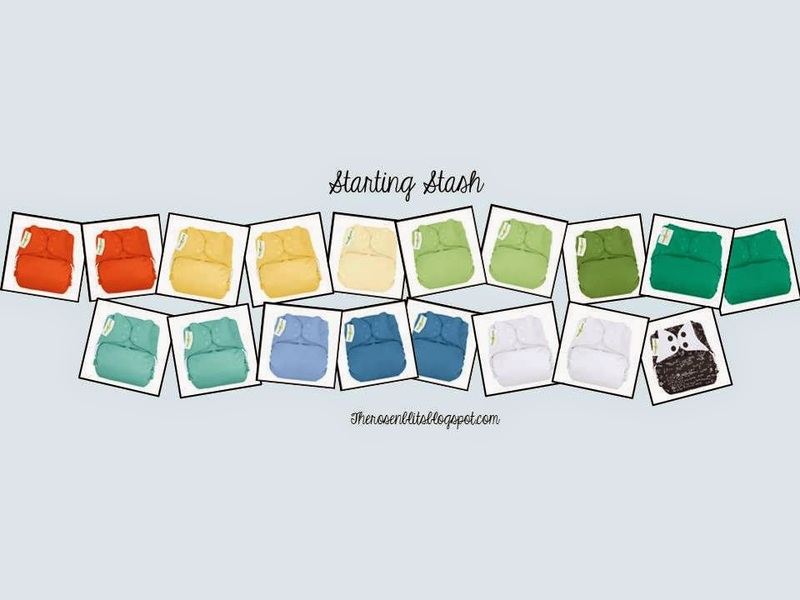 The 4.0 comes in a whole rainbow of adorable colors! The first thing I did was to try and use gift cards. I had a big one lying around from a Babies R Us registry deal so I looked to see if they carried the Bumgenius 4.0 and they did! Babies R Us sells them in two packs and using the $150 registry gift card plus a $25 one I had lying around from a shower got us ten diapers, and detergent to wash them. I ended up with two sassy, two butternut, one noodle, two grasshopper, one ribbit, and two moonbeam. Then I checked to see if Target sold them (they do!) since I had two gift cards to there. They also sell them (only online) in two packs, and my gift cards were enough to get me one pack. It came with one white and one Albert. I knew though, that 12 wasn't ideal. Most cloth diaper families have 12 at the very fewest, and that's if they wash them every night. 18 seems to be the sweet spot. So I needed to find a way to hopefully purchase 6 more. Using as little cash as possible. That's when my mom told me that Amazon also sells the diapers and suggested I use swagbucks. Swagbucks is a program where you can earn points for using their search engine, watching videos, taking polls, etc. I used to use it but hadn't for a long time. So I dusted off my account and started doing what my mom suggested: letting videos run in the background of my browser (with the sound off) and on my phone (we have unlimited data. If you don't - it will definitely eat up your data). You need 450 swagbucks to earn a $5 gift card to amazon. There are tons of other places you can get gift cards too and other prizes all together, but we were just interested in Amazon since we can get the diapers there. You can get up to 5 of the same prize each month which meant at a maximum I could earn $25 to amazon using the $5 gift cards. If I still had time in a month after that I could start saving the 1,000 points I would need for a $10 gift card. Luckily, my mother also supports the cause and let me use her gift cards that she's earned. We used eleven $5 gift cards and ordered 3 bumgenius diapers - two mirror, and one twilight. Just a few days later we had enough for three more, so I picked out two hummingbird and another white. This gave me my 18 diapers to start with. 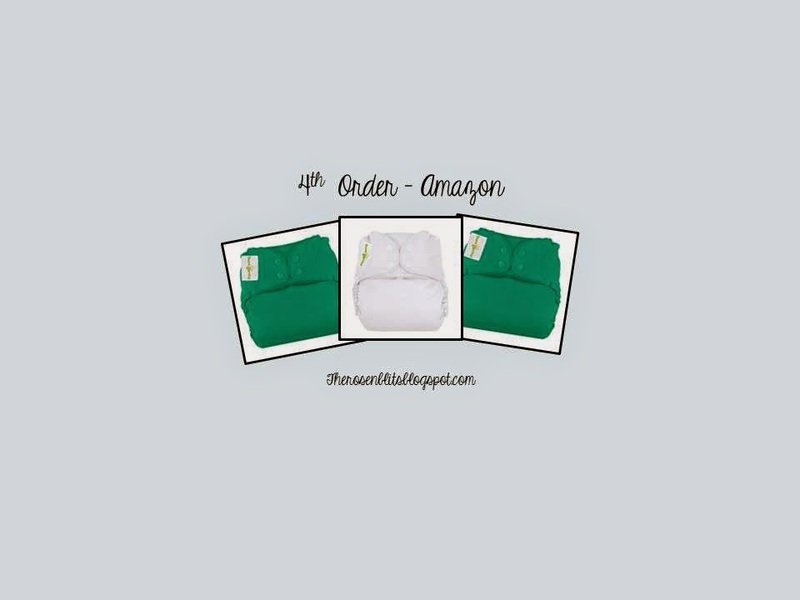 I choose to get our diapers in gender neutral colors with just a few boy styles thrown in. If we were to have another baby down the line and it ended up being a girl I might get one or two in more girly colors. But the plan is to absolutely reuse these for any future kiddos. I'm hoping over the next few months to continue earning gift cards and buy more so I don't have to wash every night. We were also going to need some wetbags, especially for use at his grandparents, and a diaper pail liner. I was lucky enough that my mom had the right kind of fabric and sewing knowledge to make them. We had already decided to continue using Pampers sensitive wipes since they are the only ones that don't give little guy a rash, and bonus! - they can also be purchased with gift cards from amazon. So with bumgenius 4.0 diapers, Tide, Charlie's detergent, a cloth pail liner, wet bags, and no money spent out of pocket we were ready to begin our journey. 1. We change the diaper. 2. Wipes go in the wet bag to be thrown out at the end of the day. 4. Poopy diapers (sorry I said poopy on my blog) get rinsed off, then thrown in the pail to get washed at the end of the day. 5. At the end of the day we take all the diapers from the pail and toss them in the washing machine. We do a rapid wash first, then a heavy duty wash using Tide and the Charlie's as a booster. 6. Once they are clean we toss the inserts in the dryer and hang the diapers to dry. When Jacob goes to his grandparents three days a week he'll take two wet bags with him. A big one for diapers, and a small one for wipes. It was super important to me that the cloth diaper situation not be any harder on his grandparents than disposable. Instead of throwing away a diaper and wipe, they can toss them in the wet bags and I'll deal with them (throw away and wash) at the end of the day. We've been in cloth for a few days now and so far, so good. I'll be sure to update in a few weeks to let you all know how it's going!